Shipping containers are adaptable to most industries. It can be used for varied needs. One of the most common uses is as speciality enclosures. SuperTech Industries has the expertise and experience to construct customized shipping containers in UAE to meet the design needs of the customer. Container enclosures are the best solution for industrial equipment enclosure as it is durable, cost effective, secure, easy to transport, repurposed and flexible. The customised corrugated steel enclosures are designed to withstand the harsh weather conditions and also resist pests. The enclosures are specially designed to hold sensitive equipment and electronics in a climate controlled environment. Enclosures are convenient and have easy wiring access. Moreover, the steel swing doors make it easier for entry and exit of personnel. The interiors are well lit ensuring increased usability. The life of the enclosure is longer as it is constructed with heavy duty materials that are safe for the environment. There is no requirement for steps or foundation as setting up, and relocation is a lot easier. The installation of HVAC system, electrical breaker panel, fluorescent lighting, GFI outlets and steel personalised doors can be included. The portable generator containers are available in three lengths of 10ft, 20ft and 40ft. Call us for special needs, and we can get your job done! 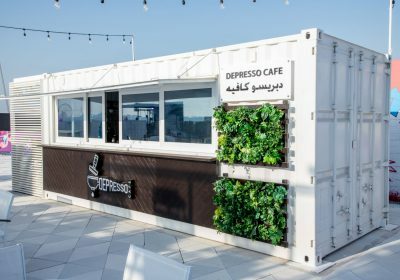 The shipping container enclosures can be adapted by various industries as it can be modified to meet the contemporary needs of any business. Speciality containers are used for various purposes, and our design process includes research, budgeting, procurement, construction and delivery. The equipment in the electric and motor control room have to be kept in a controlled environment, and the container enclosures are highly suitable. Wastewater management is crucial for remote sites keeping in mind the health and hygiene of the employees. Enclosures used as waste water facility meets regulatory requirements. It keeps the employees safe in the Big Steel Box. Managing hazardous material is a challenge faced by remote sites, and a container enclosure can keep the materials free from risks. It is an excellent energy storage option irrespective of its usage as on-grid or off grid support. It helps to reduce power consumption. The diesel generators are turned off during night time. Communication reaches even the remotest of location, and you need not be deprived of it just because you are out of reach. Pack your server, IT hardware, telephony and other communication gadgets in a controlled environment in the enclosure. The need for secured container enclosures is being realised for its security and easy to modify features. The container is durable and portable making it the most convenient enclosure option. Choose steel over wood for your work site is advantageous because it can withstand the elements of nature, unlike wood or concrete. We use corrugated steel with marine grade hardwood flooring to protect from the variable weather conditions.